A yummy fruit cake is loved by every person in the world. But fruit cakes taste best when they are prepared from fresh fruits. Gift Jaipur lets you send delicious fresh fruit cake Jaipur to the ones you love. Next time you want to buy cake,just come to us. All you have to do is order cake and a delicious cake with fresh fruit delivery will be made to your address. 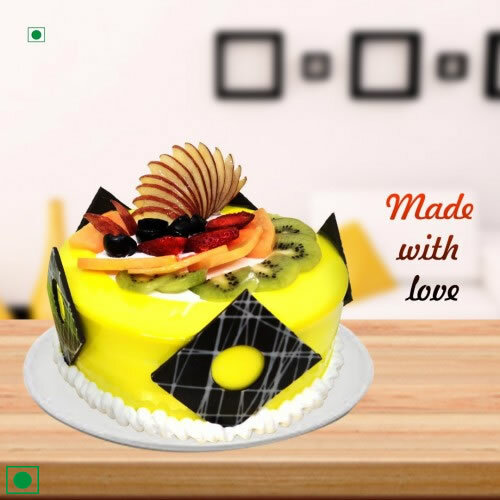 Our executives will ensure that you get the best quality eggless cake when you order the cake with fruit online. So, visit our website and get one from us immediately.